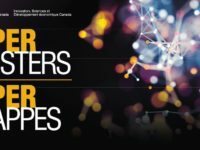 The release of Budget 2019 yesterday again placed the government’s innovation strategy in the spotlight as the government emphasized its significant spending record, including $950 million for the superclusters, $4 billion for science research, $795 million in 31 strategic innovation fund agreements and $2.3 billion for clean technology support. The investments were highlighted in a recently released an innovation scorecard, Building a Nation of Innovators, which takes stock of the government’s efforts over the past three years. My new CIGI policy brief argues that while the benefits from this spending will take years to realize, increased investments in strategic sectors are the easy part of innovation policy. 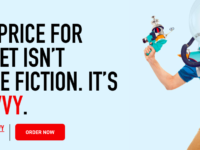 Earlier this month, Innovation, Science and Economic Development Minister Navdeep Bains took his most significant policy step to date to put his stamp on the Canadian telecom sector by issuing a proposed policy direction to the CRTC based on competition, affordability, consumer interests, and innovation. To help sort through the policy direction, the state of the Canadian telecom market, the role of independent companies that rely on regulated wholesale access, and lingering frustration with the CRTC, this week’s LawBytes podcast features a conversation with Andy Kaplan-Myrth, Vice President of Regulatory and Carrier Affairs with TekSavvy, Canada’s largest independent telecom company. 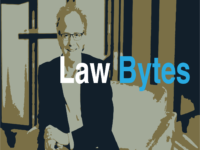 The first full length episode of the new LawBytes podcast features a conversation with UK Information Commissioner Elizabeth Denham, who leads the high profile investigation into Facebook and Cambridge Analytica. 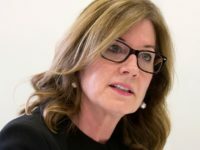 Denham, who previously served as Assistant Commissioner with the federal privacy office and as the British Columbia Information and Privacy Commissioner, reflected on her years in Canada, particularly the Canadian Facebook investigation and concerns with the Google Buzz service. Denham emphasized the need for Canadian legislative reform in order to address today’s privacy challenges. Denham was recently appointed chair of the International Conference of Data Protection and Privacy Commissioners, which she expects will increasingly focus on global privacy standards. The podcast can be downloaded here and is embedded below. Subscribe to the podcast via Apple Podcast, Google Play, Spotify or the RSS feed. Updates on the podcast on Twitter at @Lawbytespod. 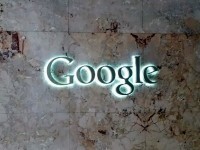 Equustek Solutions v. Google Inc., a case that originated in British Columbia, Canada, in 2014, captured international attention as one of the first internet jurisdiction cases to be considered by a nation’s highest court. My CIGI Policy Brief notes that since then, the case has emerged as a cautionary tale about increasingly aggressive legal approaches with respect to the Internet, with significant implications for online governance.